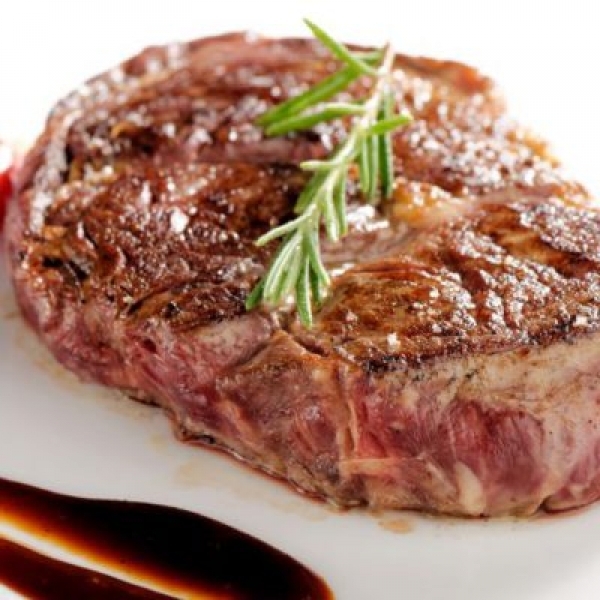 Venison sirloin or loin is a roasting joint. 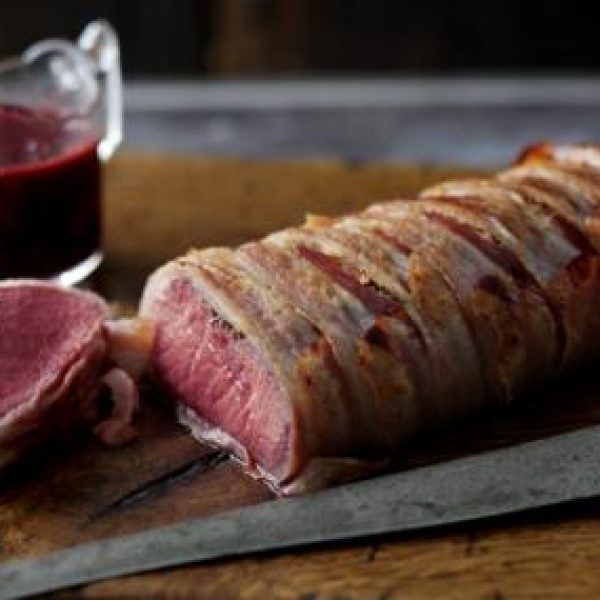 It is a great alternative meat to your traditional Sunday roast and works brilliantly when teamed with a rich red wine and fruity gravy. 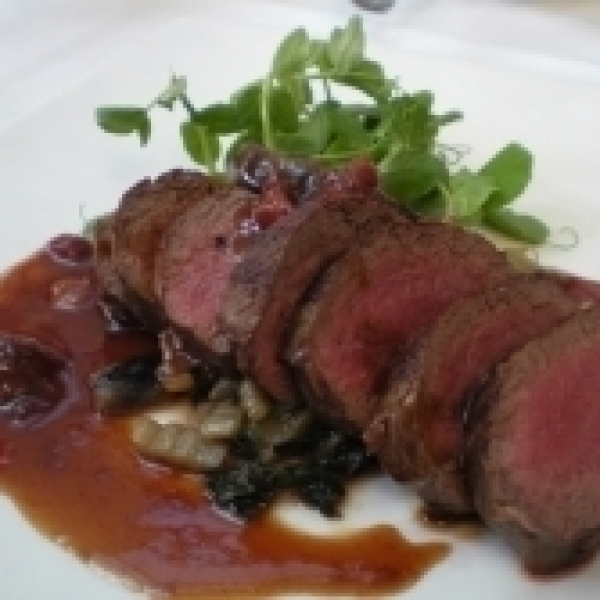 Not only is the venison haunch extremely tasty but venison is low in fat & cholesterol whilst being high in protein & iron. 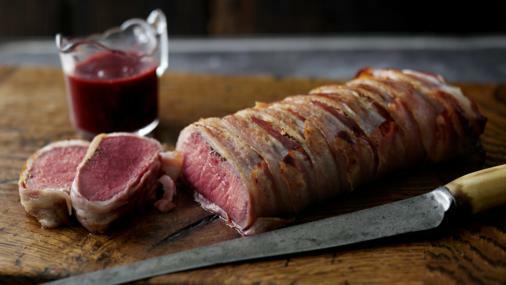 Venison sirloin or loin is a roasting joint. It is a great alternative meat to your traditional Sunday roast and works brilliantly when teamed with a rich red wine and fruity gravy. 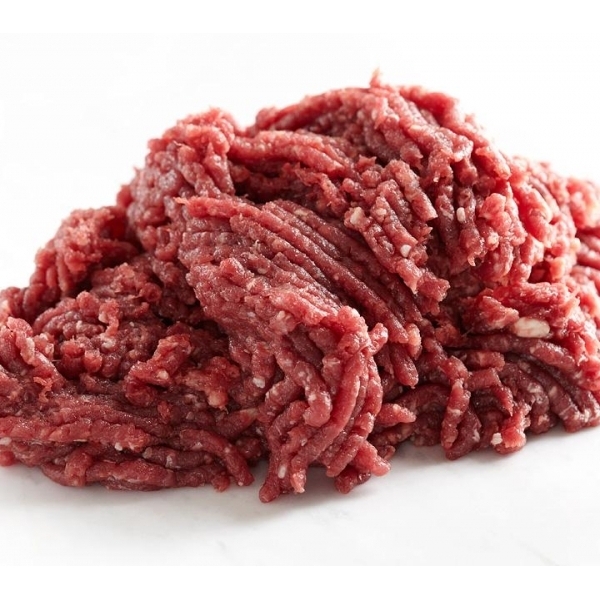 Not only is the venison sirloin extremely tasty but venison is low in fat & cholesterol whilst being high in protein & iron. 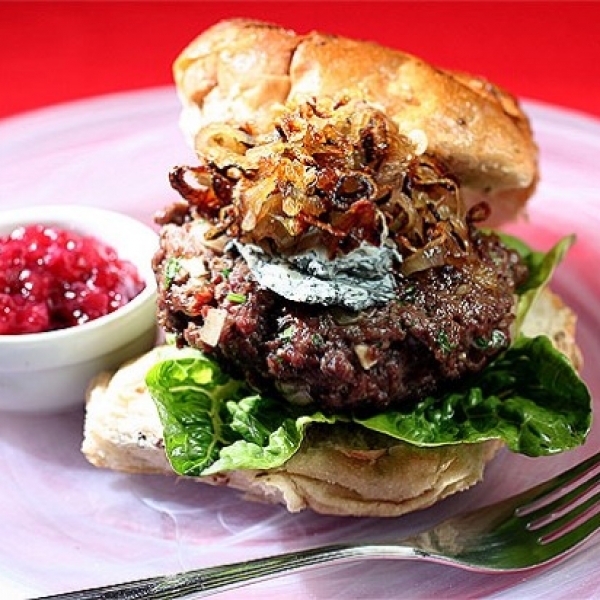 Here is a great venison sirloin recipe from Jamie Oliver, we love the celeriac and potato gratin.